This is Avril, Sunny and Daffodil. They are available Friday March 28th at 9pm ET in the “Doll Shop“. These babies are designed with floppy limbs inspired by many of the vintage dollies. They are also weighted with glass doll weighting beads. 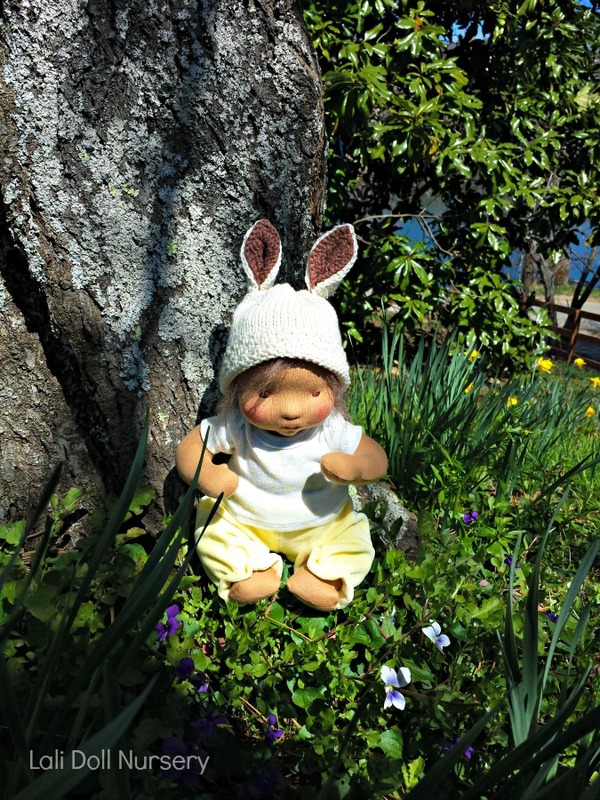 Each doll comes with a knitted bunny hat, t-shirt, velour pants and cloth diaper, as well as blusher cloth and birth certificate.